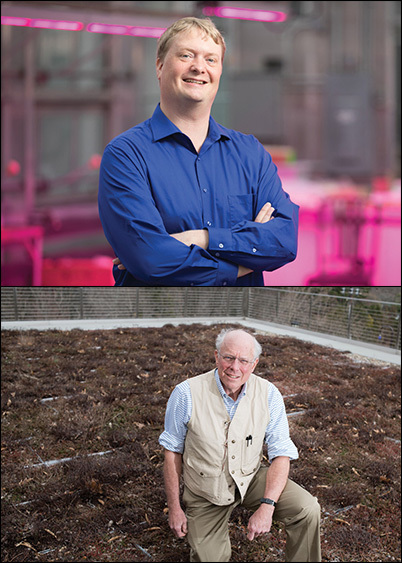 Horticulture Section faculty Neil Mattson and Tom Whitlow are among the CALS faculty focusing their efforts on urban agriculture and other innovations that will reap benefits for city dwellers. With varied areas of focus, from climate change to food and social injustice to human health, they and other CALS faculty agree that challenges related to these issues can be traced to the severe lack of space in increasingly population-dense cities. 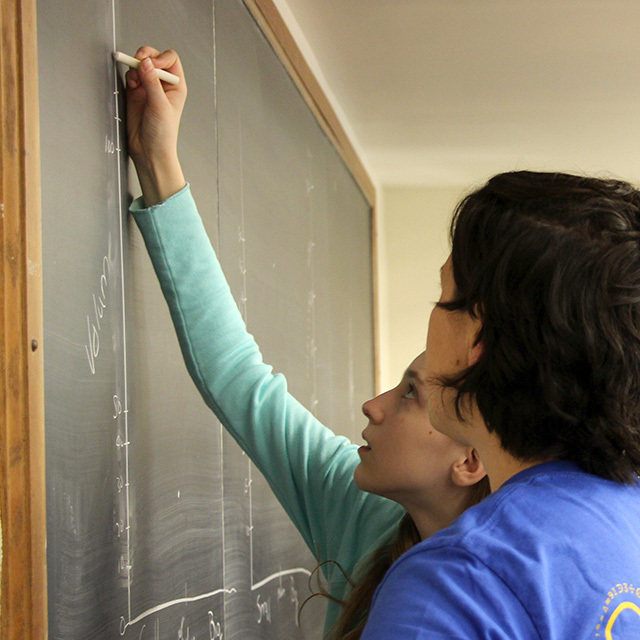 Read more in Sky’s the Limit in the latest issue of PeriodiCALS, the College’s news magazine. The Science of Shade – Profiles Nina Bassuk and her three decades of re-imagining urban horticulture as the program leader of the Urban Horticulture Institute. Her innovations have included CU-Structural Soil, ‘scoop and dump’ site preparation, and matching woody plant species to tough urban environments to maximize ecosystem services. On the Map: CALS in the City – Features horticulture Ph.D. candidate Yoshiki Harada’s rooftop farming studies at the Brooklyn Grange. CALS Sweethearts Fund Graduate Students in Plant Science – Recognizing that graduate students are often key mentors for undergraduates in their critical research experiences, Mark Sellew ’78 and Lisa Preger Sellew ’79, MBA ’82 decided to give a gift specifically for graduate students in the School of Integrative Plant Science (SIPS). 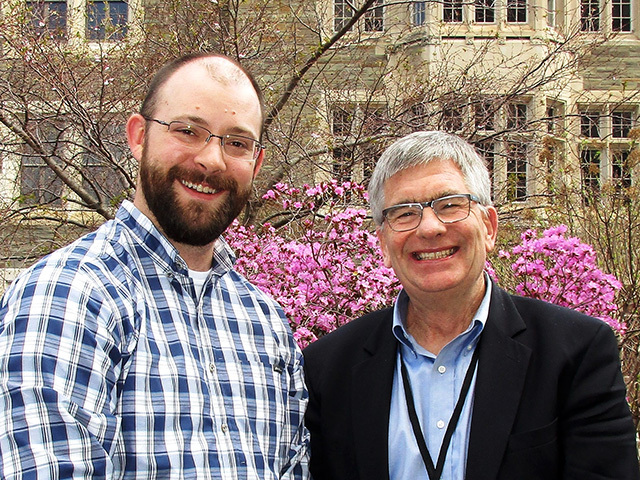 The Sellew Family Excellence-in-Mentoring Graduate Fellowship will provide one year of support to five graduate students who embody the values of mentorship, teaching, and research. If you missed Monday’s Horticulture Section seminar ‘Seed to Supper’ program: Reaching underserved audiences through garden education with Christine Hadekel, Oregon Food Bank, it is available online. 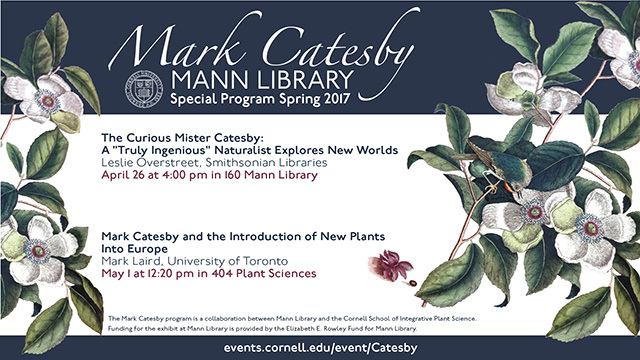 Leslie Overstreet, curator of Natural-History Rare Books at the Smithsonian Libraries, will talk about the historical and scientific significance of plant explorer and artist Mark Catesby (1683–1749), and his monumental book, The Natural History of Carolina, Florida, and the Bahama Islands. April 26, 2017 at 4:00p.m., Mann Library, Stern Seminar Room 160. Learn about the importance of community gardening, its impact and how you can get involved on campus and at home. 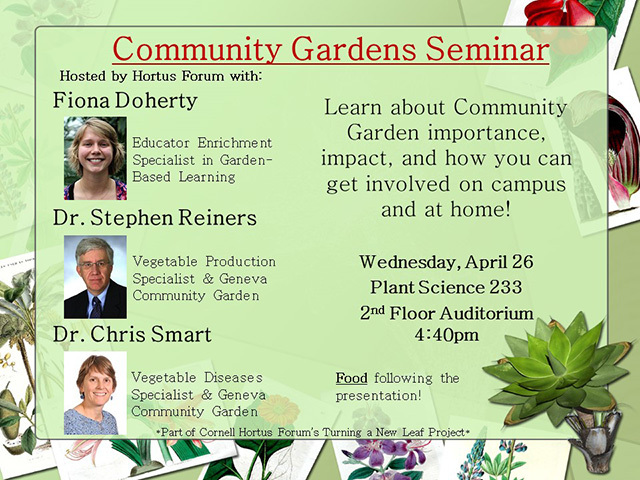 Hosted by Hortus Forum and featuring Fiona Doherty (Cornell Garden-Based Learning), Steve Reiners (Horticulture Section) and Chris Smart (SIPS director). 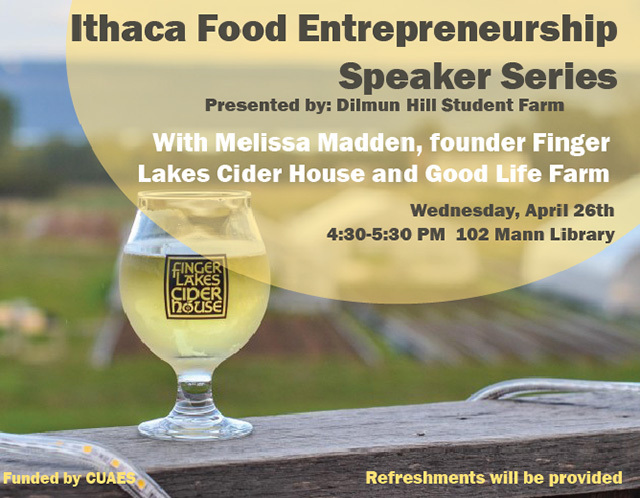 Part of the Ithaca Food Entrepreneurship Speaker Series. 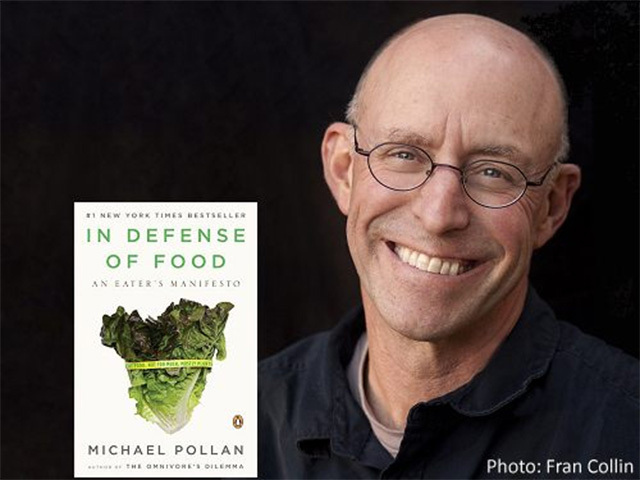 April 26, 4:30 to 5:30 p.m., 102 Mann Library. Presented by Dilmun Hill Student Farm. Funded by Cornell University Agricultural Experiment Station. Refreshments provided. Hands on activities to learn about the diverse field of horticulture: Chia pet sculpture, printing from plants, mushroom inoculation. 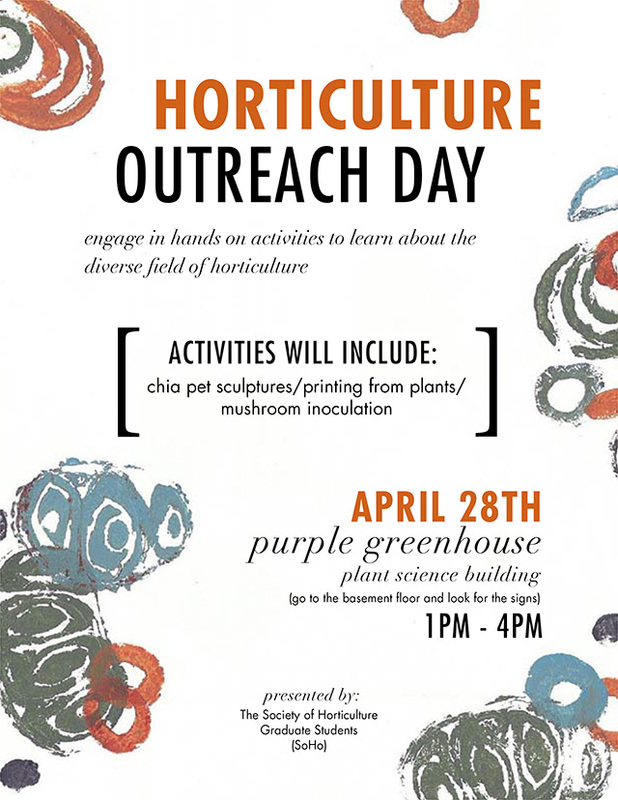 April 28, 1 to 4 p.m. Purple Greenhouses, Plant Sciences Building. (Go to the basement floor and look for the signs.) Sponsored by Society of Horticulture Graduate Students (SoHo). 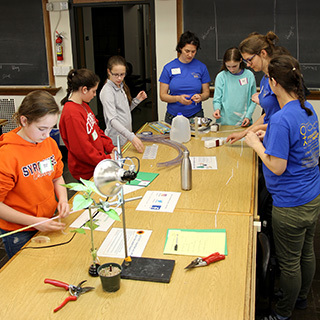 EYH participants assemble water columns . The three developed activities directly related to their research on woody plant root physiology and helping plants cope with water stress. Their middle school workshop participants assembled water columns simulating the hydraulic systems plants use to transport water from roots to leaves, graphed their observations of how different sized tubes performed, used water to transport dyes into sunflower plants, and skeletonized leaves to observe the microscopic structure of their veins. 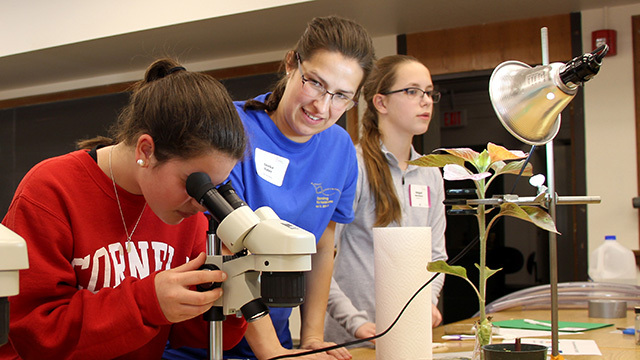 Annika Huber had middle school participants use water to transport dyes into sunflower leaf veins so they can observe their microscopic structure. Juana Muñoz Ucros helps EYH student graph water column experiment data. 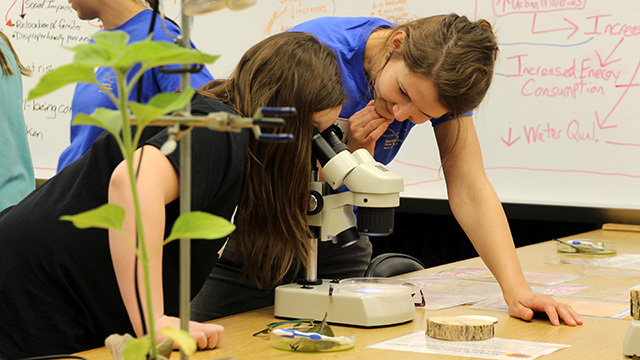 Marie Zwetsloot assists student with microscopic observation of leaf structure. If you missed Monday’s Horticulture Section seminar Finding Anna: The archival treasure hunt into the life of Anna Botsford Comstock with Karen Penders St. Clair, Graduate Field of Horticulture, it is available online. 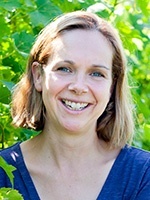 Vanden Heuvel receives NYFVI grant [CALS News 2017-04-13] – Wine grape growers in the Finger Lakes region will be getting a high-tech view of both their vineyards and bottom lines thanks to work from Justine Vanden Heuvel. 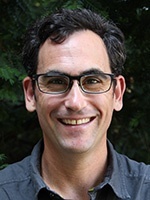 A project from the associate professor in the Horticulture Section of the School of Integrative Plant Science will help select growers use drone technology to collect remote sensing measurements known as normalized difference vegetation index, or NDVI images. Her research is one of 11 projects led by Cornell scientists who received a total of more than $1.1 million from the New York Farm Viability Institute (NYFVI) in their latest round of funding, announced April 12. Bosco awarded Engaged Cornell grant [CALS News 2017-04-12] – Graduate Field of Horticulture Ph.D. student Sam Bosco is one of 16 students to receive an Engaged Graduate Student Grant. The grants provide opportunities for Ph.D. students and their thesis advisors to conduct research or scholarship that is community engaged or to develop strategies for incorporating community engagement into existing thesis work. Bosco is working with Haudenosaunee (People of the Longhouse, aka Iroquois) communities to further remember and restore their traditional foodways — much of which was lost during colonization — of integrating nut trees into a sustainable food system. Bosco’s work includes facilitating nut tree cultivation, and co-developing culturally-specific curricula, resources, and activities to expand interest and consumption of nuts. His advisor is Jane Mt. Pleasant, School of Integrative Plant Science – Horticulture, and American Indian and Indigenous Studies Program. Spanish cider from American soil [Draft Magazine 2017-04-11] – “With the huge growth in the cider industry over the last five years, I think there are many commercial cider makers looking at how to make a product that’s quite different from what’s out there,” Greg Peck, tells Draft Magazine. Peck, assistant professor in the Horticulture Section, is working with the USDA to test and release the new Spanish apple varieties. 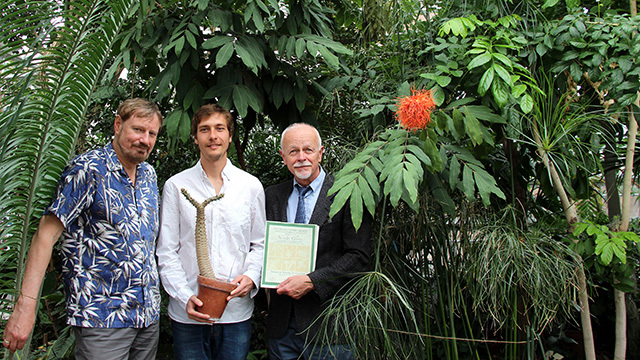 Plant Sciences major Nicolas Glynos ’17 has received a Young Botanist Award by the Botanical Society of America. 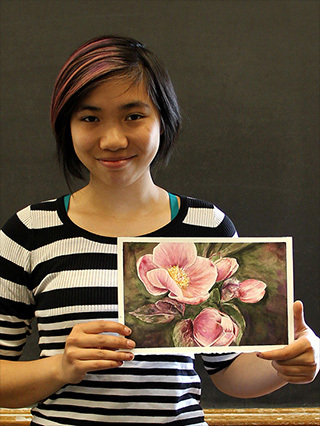 The award recognizes outstanding graduating seniors in the plant sciences nationwide. 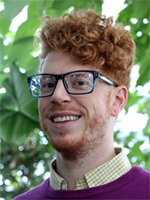 Glynos transferred to Cornell in spring semester 2016, after earning and Associate of Science degree at Flathead Valley Community College in Montana. 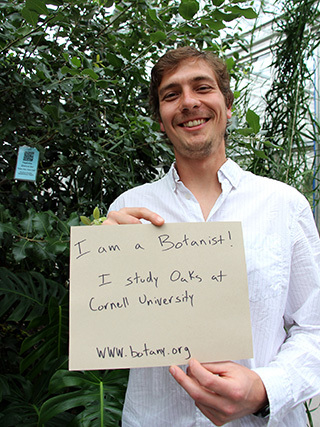 In addition to his stellar performance in the classroom, Glynos distinguished himself at Cornell through his many other plant science activities. Last summer, he earned a coveted spot on a Smithsonian Research Experience for Undergraduates in Panama, where he studied how heavy-metal toxicity affects rain forest tree growth and reproduction. Back on campus in fall, Glynos worked part time at the Liberty Hyde Bailey Hortorium, measuring, imaging and data-basing plant specimens and geo-referencing them on digital maps. 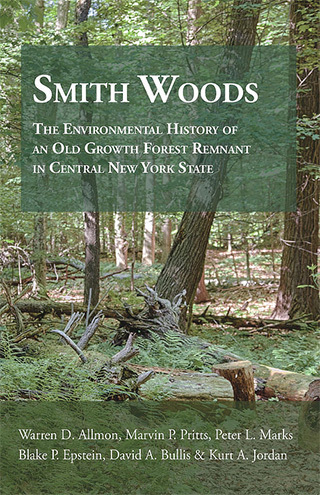 And he worked on his senior thesis with Kevin Nixon, Professor in the Plant Biology Section and the Hortorium’s curator, studying the varied morphology of oaks to better understand how they adapt to climate change from an evolutionary perspective. And when a Titan arum – the species that produces the largest inflorescence in the plant world – flowered in the Liberty Hyde Bailey Conservatory for the first time, Glynos volunteered for hours to help explain the fascinating pollination strategy of this plant to the hundreds of visitors who lined up to see it firsthand. This summer, with help from a grant from the Fredric N. Gabler ’93 Memorial Research Endowment, Glynos will pack up the car for a trip across the western United States to collect and photograph oaks to provide additional data for his senior thesis. Glynos is on track to complete his B.S. requirements this fall. After that, he plans to study systematics, evolution, and diversity of tropical plants at the graduate level.